The PDR-6 zone applies to the area that is immediately north and south of Fort Circle Park, also known as Fort Drive Park. Protect surrounding residential areas from the adverse impacts of existing industrial support uses by means of the buffering standards provided in these zones. The PDR-6 zone is intended to permit moderate-density commercial and PDR activities employing a large workforce and requiring some heavy machinery, under controls that minimize any adverse impacts on adjacent, more restrictive zones. 1 The following use categories may achieve the maximum FAR: agriculture, large; animal care and boarding and animal shelter; arts, design, and creation; basic utilities; large scale government; production, distribution, and repair; and waste-related services. All other permitted, conditional, or special exception use categories are subject to the maximum restricted uses FAR. 2 Development on a lot that directly abuts a residentially zoned property with a lower height limit, shall not project above a plane drawn at a 1:1 angle subject to the following: (a) the plane shall be measured 10 ft. above the by-right height of the abutting residential property line; and (b) the measuring point shall be established at the middle of the abutting residential property line. 4 An institutional building or structure may be erected to a height not exceeding 90 ft., provided that the building or structure shall be removed from all lot lines of its lot a distance of not less than 1 ft. for each foot of height in excess of that authorized in the zone in which it is located. 5 Any building proposed to exceed 65 ft. in height shall be approved by the BZA pursuant to the special exception criteria of Subtitle Y, Chapter 9. 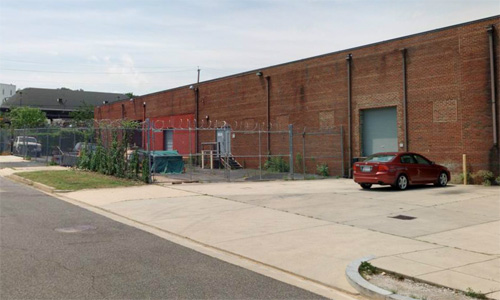 The applicant shall demonstrate that the building will not degrade or obstruct views and vistas from the historic fortification of Fort Totten.